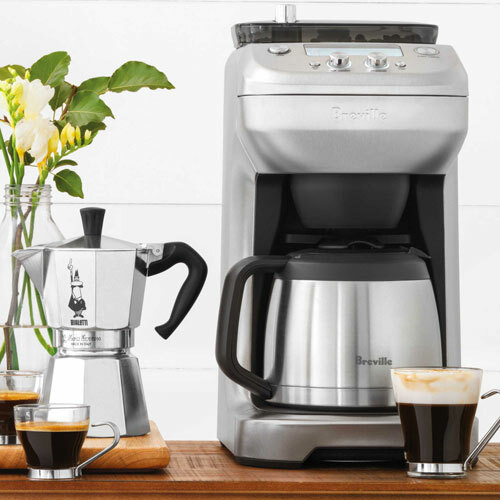 Breville is known for its high-quality kitchen appliances and coffee grinders and is the go-to band for dedicated coffee lovers. 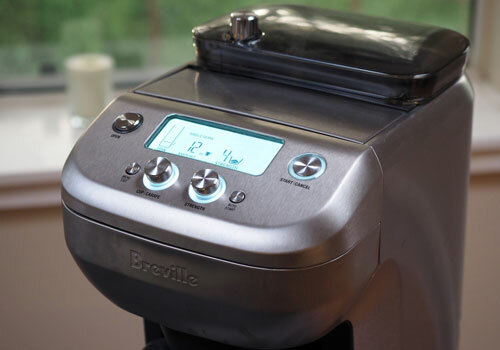 The Breville BDC650BSS Grind Control was introduced with the idea that it would allow the user to grind a variety of coffee beans without having to purchase more than one brewing system. The Breville grind control coffee maker includes an adjustable grinder that allows users to choose how they want their coffee beans ground, and how much of them will be ground. The device is practical, sleek in appearance, and professional, with even the more prestigious coffee lovers falling in love with its functionality. With the purchase of this coffee grinder, you’re guaranteed to get a perfect grind every time, regardless of what kind of grind you desire. By choosing this device to be your go-to grinder, you can rest assured that every cup of coffee you make will be exactly what you wanted. 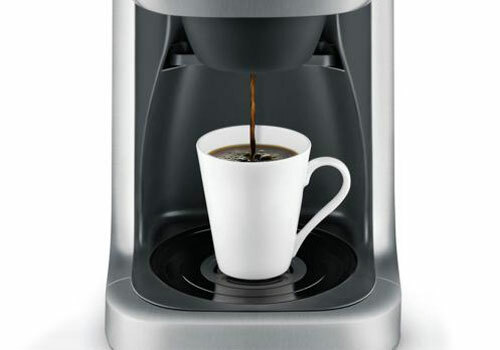 Breville espresso coffee maker is one of the best coffee brewer available in the market. So in this Breville grind control reviews, let’s take a look at how this product stands up. If you take a look inside of the Breville grind control BDC650BSS, you’d see the key features that give it its power. Each feature works with the next to create a smooth grinding experience and the perfect coffee grounds, resulting in the perfect cup of coffee every time. The first feature worth mentioning is the programmable auto start feature. Years ago, the idea of an auto start feature sounded like an idea out of a science fiction movie, but in today’s world, it’s reality. The Breville BDC650BSS has this handy, high tech feature. The feature is perfect for early birds who want their coffee to be brewed and hot for when the first get to the kitchen. Coffee lovers can program their machine to start grinding and brewing at a certain time, and then shut itself off at a certain time after the grinding and brewing has been done. This way, the machine won’t be on all the time and wasting energy, but your coffee will still be ready (and hot) for when you need it to be. 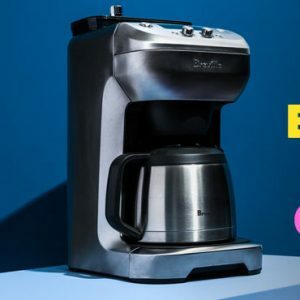 This also comes in handy for when guests are coming over: it eliminates the amount of time that it takes you, the host, to make a pot of coffee so that you can spend more time with your guests and less time with your back turned. The auto start feature is truly useful for a number of reasons and is a great addition to an already outstanding coffee grinder. The removable drip tray is something to be excited about. There’s nothing worse than placing your coffee mug under the drip and being met with the unpleasant realization that your coffee cup is too tall to fit and you either need to have a smaller cup of coffee, or multiple cups in order to satisfy your coffee craving. The drip tray of the Breville grind control coffee maker can be removed so that even your biggest mugs can fit comfortably under the drip. This means no more fighting with that stubborn mug in order to get your morning coffee. Not only does the removable drip tray make it easy to have a large cup of coffee, but it also makes it easy to clean. The drip tray can be taken out and washed in the sink with hot water and soap or simply wiped off with a washcloth, before being put back into the machine to catch any extra coffee that might miss your cup. Another small point worth noting about this feature, is that since it’s so easy to clean, it also makes the machine more sanitary because the drip tray can be thoroughly washed and rinsed (not to mention that the removable drip tray allows you to clean the surface underneath the tray). On the outside of the grinder, is a sleek LCD screen. With the touch of a few simple buttons, the LCD screen becomes a reliable source of information. It allows you to monitor the water levels, grind size, strength of the coffee, and the time of grinding and brewing. Being able to see – on a clear, LCD lit screen- where your coffee brewer’s water levels are at is essential to the making of delicious coffee. Without knowing the water levels, the quality of your coffee can be compromised, and the health of your machine can be put into danger. Allowing water levels to sit too low for too long can break down your machine’s motor. 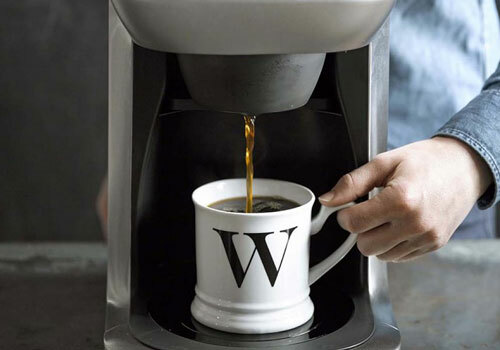 Being able to change the strength of your coffee right on the screen aids in giving you the perfect cup of coffee, too. 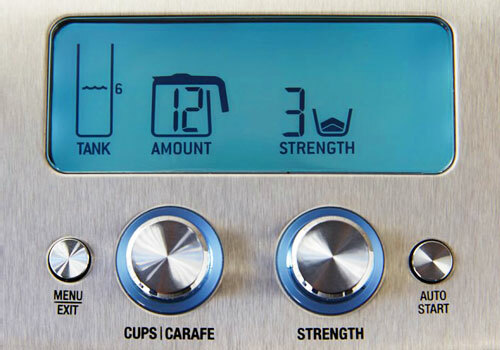 With each cup that is brewed, the strength of the cup can be changed with a push of a button below the LCD screen. Also on the screen, you’re able to set when you want the machine to grind your beans and when you want your coffee to start brewing. The LCD screen is easy to read and the backlight won’t hurt or irritate your eyes. There’s nothing better than a hot cup of coffee in the morning. That being said, a lukewarm or cold cup of joe just won’t do. It’s unfortunate when a brewer spits out less than hot coffee because it is a reflection of the machine’s quality and telling of its age. If it can’t heat the coffee to the right temperature, it isn’t a very good machine and could use a replacement: with the Breville grind control, cold coffee is never a concern and is unheard of. 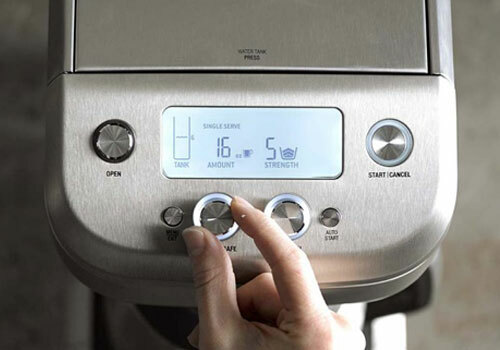 The machine has a temperature control feature that allows you to set the temperature that you want your coffee to be brewed at, even if the water that is first put into the machine is freezing cold. For example, you could put water that has been in the freezer for a few minutes into the machine and still end up with a steaming hot cup of coffee to dive into. If you were to do it again, you’d get the same result because the Breville BDC650BSS Grind Control is extremely reliable and has a long shelf life. By using the temperature control feature, you can have your coffee as hot (or cold) as you like it. A common problem with coffee makers is that once a cup of coffee is brewed and the cup is full to the brim, cream or milk often doesn’t fit inside the cup without you having to dump some of the coffee out first, or drink some of the coffee before there is cream just to make room for the cream. The Breville BDC650BSS has an excellent feature to combat this struggle. The feature I’m talking about here is a set of size options that are made specifically for the single-cup brewing option of the machine. With this multi-choice feature, you’re able to select how much room for cream or milk you want in each individual cup, and the machine will make sure that it stops pouring coffee before there is no room left. 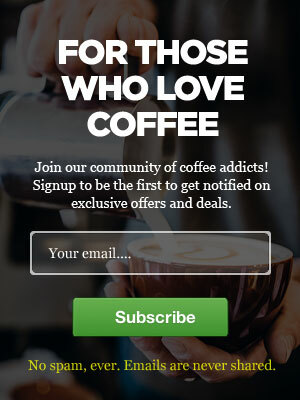 This ensures that each cup of coffee has adequate room for cream (regardless of how much or how little room you desire), and that no valuable, freshly brewed coffee gets dumped down the drain when it could have been saved by this feature. Being able to adjust how much room you want in each cup is helpful for when a friend or loved one wants a cup of coffee as everyone has a different preference. After your coffee is brewed and out of the machine, you want it to stay warm for as long as possible – after all, who wants to drink coffee that has been reheated a dozen of times before you get to it? This is exactly what won’t happen when you buy this machine and utilize its thermal carafe feature. The machine includes a thermal 12 pot carafe that keeps your freshly brewed coffee at just the right temperature, making it easy for you to drink cup after cup without having to reheat your coffee in between. The carafe is insulated to ensure that your coffee stays warm for as long as it possibly can. The insulation is thick enough to keep the coffee hot, but not thick enough that it makes the carafe heavy, which is great when it comes to serving from the carafe. A heavy carafe makes it hard to serve coffee without spills and drips that need to be cleaned up: the light weight of this great carafe is ideal for filling coffee mugs without creating a mess. Although the Breville grind control BDC650BSS is the leading coffee grinder among coffee enthusiasts, it still has its pros and cons, just the same as any other coffee grinder. The Breville machine stands out due to its sheer number of pros and a small number of cons, and nearly perfect percentage of happy customers. This is an easy question. The Breville coffee maker grind control is the hottest grinder on the market right now. It may have its flaws such as the height which can make the grinder hard to place, but the other features of the grinder quickly make up for the small inconvenience that is placement. Unlike other machines, the Breville BDC650BSS grind control coffee maker is easy to use despite having so many settings that can be personalized. 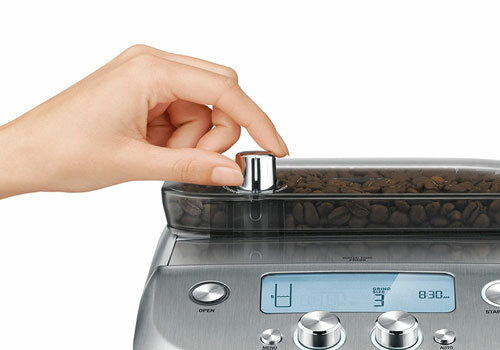 By using this grinder, there’s no more confusion or stress when it comes to making coffee. Customers who buy the machine are always blown away by how easy it is to get the perfect coffee and shocked at how little time it takes to do so. The surprises don’t stop there though: customers are also pleasantly surprised with the quality of coffee that the grinder produces. 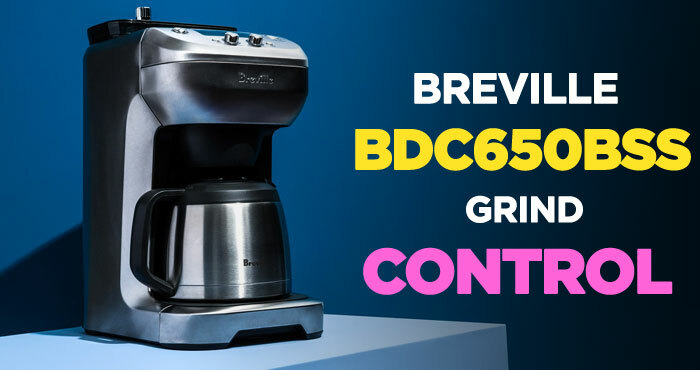 With other grinders that are on the market, there are often times mixed reviews, however, for the Breville grind control BDC650BSS grinder are almost in unanimous agreement that this grinder is the best one that they’ve owned yet. The grinder is superior to its competitors because it can do everything that traditional coffee makers can with the addition of grinding its own beans. 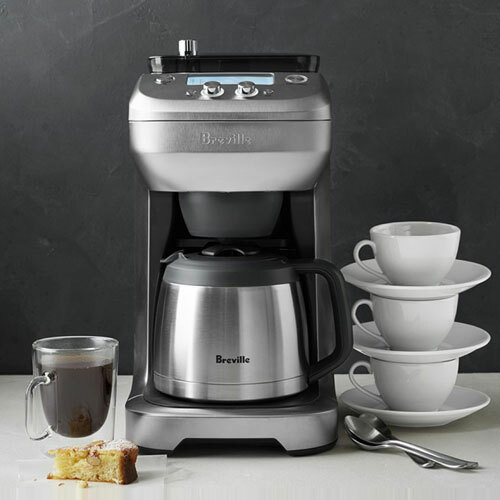 Unlike other machines, the Breville grind control coffee maker is designed to make both single cup servings of coffee and up to 12 servings of coffee at a time- most other machines are made for one or the other, and can’t accomplish both. The Breville BDC650BSS is a quality machine with a variety of useful features. It looks sleek and modern when placed in the home (the stainless-steel material that it is made of go with every type of kitchen décor), and is virtually mess free. It takes very little time to brew a pot of coffee, and the machine has the smartest technology available to make sure that each cup of coffee is to your individual liking. There are settings for the most essential parts of the machine including the grinder and cup size settings, as well as the strength and room for cream settings. The low light, easy to read, LCD screen is a useful tool when it comes to monitoring the water levels and other important settings that work together to make fantastic coffee. The grinder may be a bit of cost and require some saving up for, but once it is in your home you’ll understand why you felt compelled to buy it and why it has such great reviews from other happy customers and fellow coffee lovers. So, what are you waiting for? Head to your local home goods store or pull up the search bar online and get yourself one of these great coffee grinders! Breville BDC650BSS Grind Control was reviewed by Tim Forman on March 4, 2018. *Disclaimer: Our Breville grind control review is based mostly on our expertise and the experts we consulted with and the information provided by the manufacturers. We do test many products, but it’s not possible to test them all. As such, please remember the above recommendations are our opinions, and before using any product, please check manufacturer’s website for more information. Using Breville grind control BDC650BSS grinder is relatively easy but there are few things you should know. Check this great video which shows how to use the machine. How do you descale the Breville Grind Control? Check this video below.